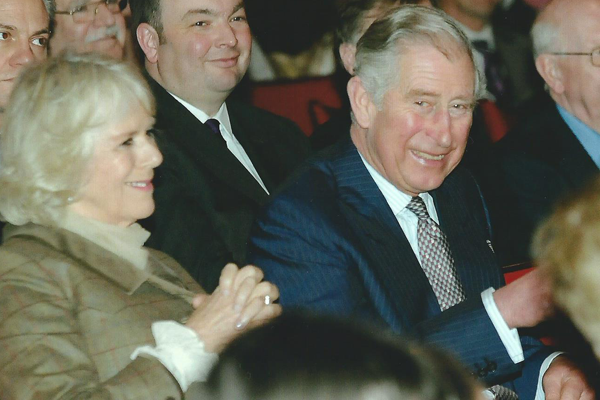 History was made on Wednesday 29th January 2014, when Their Royal Highnesses The Prince of Wales and The Duchess of Cornwall became, so far as is known, the first members of the Royal Family to visit the theatre. Farceur extraordinaire Ray Cooney has close ties with the Palace, having managed the theatre from September 1969 to September 1970, and having had many of his farces performed on its stage, including the world premiere of Come Back to My Place, in June 1973, in which Ray starred. 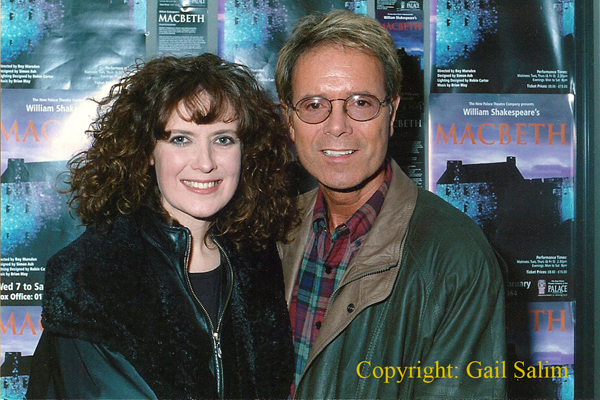 One of Ray’s most enduring farces, Run For Your Wife, which was first performed at the Palace in July 1991, was turned into a film in 2012, and Ray joined us at the Palace, in May 2013, for a special screening during the Southend Film Festival. 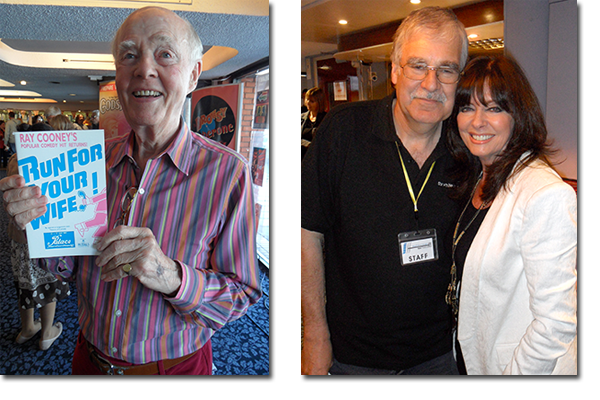 Joined by executive producer/actress Vicki Michelle, herself no stranger to the Palace (Don’t Dress for Dinner, in May 2003 and ‘Allo, ‘Allo, in November 2008), Ray took to the stage after the screening and spoke about the film and his extensive career. Joseph and the Amazing Technicolor Dreamcoat was first performed in April-May 1976. At that time it was the theatre’s most expensive production – and a huge success. Box office records tumbled as 7,000 patrons besieged the theatre in its first three weeks, and extra shows were added during the fourth week. 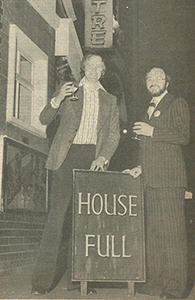 Lyricist Tim Rice visited the Palace to join in the celebrations; this newspaper photograph shows him toasting the show’s success with artistic director Chris Dunham. This page was added by Ian Grant on 22/01/2014.